They each have their advantages. Learn the benefits of saunas, steam rooms and soaking in hot springs. If you’re looking to get some of the health benefits of exercise without exercising, you’ll find three hot alternatives: saunas, steam rooms, and soaking in hot springs. All of them promote cardiovascular health, stress reduction, blood flow, cleansing and relaxation. Each also has its particular advantages. Saunas are enclosed rooms with high temperatures generated by fire, electric heaters or heated rocks. Humidity in those rooms can be as low as 10 percent or as high as 60 percent. The low humidity makes temperatures as high as 200˚F or more tolerable. Humidity can be increased in some saunas by pouring water on heated rocks or tiles. Infrared light treatment, often called infrared sauna (but not by sauna purists), increases a person’s body temperature without significantly raising the temperature of the surrounding air. Steam rooms are similar to saunas in structure but generate humidity of 95 to 100 percent, so temperatures are usually kept between 100˚F and 120˚F. Because the humidity is so high, sweat does not easily evaporate, so the body’s core temperature increases significantly more than it does in a traditional sauna despite the lower air temperature. Mineral hot springs share many of the advantages of saunas and steam rooms and add more dimensions. The minerals in the water are beneficial for the skin, and some of them can be absorbed to nourish the whole body. The buoyancy of the water is especially relaxing and allows movement and exercise that is easy on the muscles and joints. The outdoor setting and connection with nature can enhance the pleasure of the session and the sense of overall wellbeing. As always, it’s a good idea to check with your doctor if you have health issues before participating in a new experience. You might find that you have a particular favorite among the hot choices for physical and psychological nurturing – or you might find that you enjoy them all! 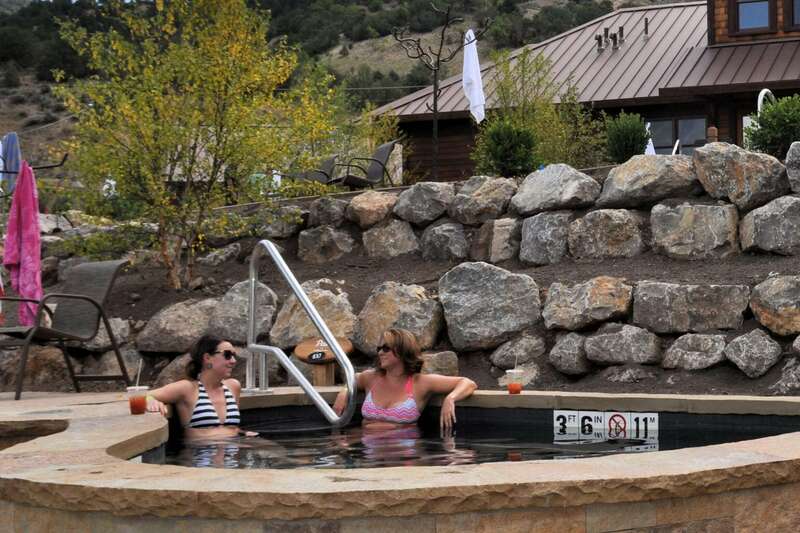 Learn more about wellness topics and the benefits of soaking at Iron Mountain Hot Springs.